The Urban Development Institute of Australia’s National Congress brings global thinkers and national industry leaders together to identify future trends, and to discover & discuss the next opportunities for the development industry. Held over three days, attendees have the opportunity to hear from a stellar speaker line-up, go on-site at the latest projects in the host city, attend a range of networking functions including the National Awards for Excellence Gala Dinner and build new business networks. 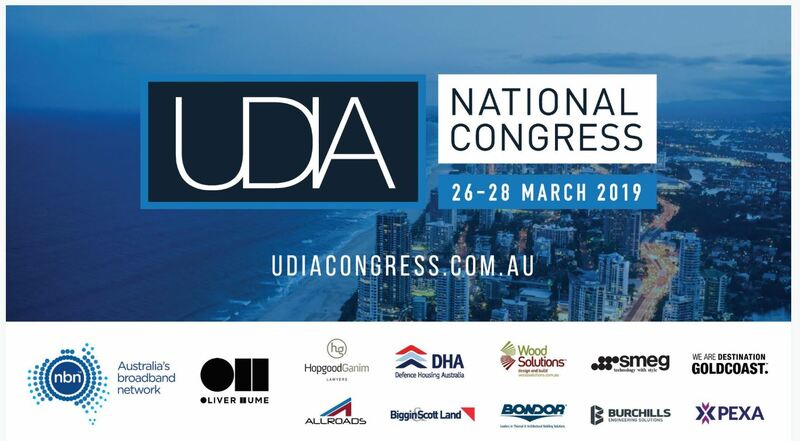 The UDIA invites you to join us from 26-28 March 2019 for Australia’s premier property development conference on the Gold Coast. The 2019 UDIA National Congress is a professional development experience like no other and the event will expose you to the insights of international industry leaders. This is also your annual opportunity to network and exchange knowledge with senior development professionals from around the country. The study tours and National Awards for Excellence are now optional extras so you can tailor your experience to suit you. Registrations start at $1,300 for day passes or $2,325 for the full plenary program. Book before October 5 and save $500.